Designing an application that is targeting multiple platform is not a child’s play. There are several factors that need to be considered to ensure a surefire display over every targeted device. Indubitably, by creating a cross-platform application, you can target a wider audience base and leverage your business more efficiently. But, since, different devices embrace different technicalities like screen resolution and size, it demands a great precision to deliver a product over multiple platforms. Therefore, one has to focus on every platform separately. One of the common issues is that while targeting multiple platforms, the core functionality of an app get lost somewhere. To help you streamline your app design in an optimal fashion, here, is a list of noteworthy aspects that must be kept in mind while designing cross platform application. If the look and feel of an application are enticing and intuitive, it will surely captivate its potential users. While targeting multiple devices, there are several common design elements that can be integrated in the same fashion. It includes color scheme, icons, user action flow and app features. This will definitely help augment the user behavior, even if a user executes the app from a different device. It will help ensure similar user interactions despite of different mobile platforms, and will facilitate users to instantly use the app in an efficient fashion with almost zero ramp-up time. 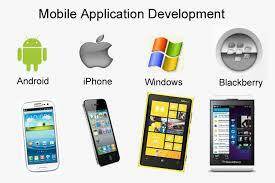 The cross platform applications are basically about using a common code base and resources for different mobile platforms. Instead of hiring separate developers for various platforms, it sounds more economical to hire versatile developers. Then sharing the code and tweaking it to make it suitable for a targeted platform will further add to an efficient mobile development strategy. 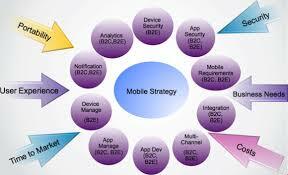 Moreover, it will also reduce both the app development and financial overhead. While sharing the graphics and code between different platforms, it is imperative to make sure that not all the features are shared among the platforms. One must consider the impact of sharing on the crucial aspects of an app like its overall performance, UX and app quality. Thus, it is advisable to share only those features that are easily accessible and engaging over all the targeted devices. In the mobile age, a fierce competition can be observed among the mobile devices. Thus, to rev up the app development while ensuring its surefire performance, it is advisable to opt agile development processes and release a small set of functionality; so that you can update them conveniently with time and integrate more features if required. By unveiling only a set of functions, you can observe the user behavior and update the features accordingly while incorporating the additional features. This will surely help you target devices in an optimal fashion. Although, branding is recommended to allow app users to look behind the doors ahead, but an overdone branding can impact the usefulness of your mobile app. This is because, it is essential to maintain an equilibrium between the design, UX and utilities offered by the app, and excess of branding can ruin the overall experience. Thus, it is better to integrate the brand name while allowing your app functionality and UX to promote the featured brand. 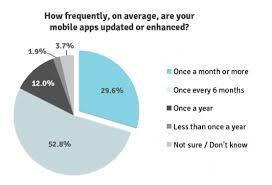 This will help deliver an astonishing app, irrespective of the platforms supported. For developing efficient cross platform applications, the Rest APIs offers an absolute solution. They are perfect for delivering an ultimate experience that is quite native to a mobile platform. This is because, it can send and retrieve HTTP requests, and server-side functionality facilitate one to grow in any desired direction without any limitation of a specific technology or platform. It supports cross platform development with modules and libraries that are compliant with multiple platforms. If you know your audience base and develop your application while thinking from your user’s perspective, you will be able to create an optimal application. Since, your application will be executed over real devices in the real world, keeping a few things in mind will augment your app success. Similarly, it is also essential to stand true to the platform. It has been observed that every platform possesses different experience-driving factors that primarily influence the UX of an app. By offering the native experience and adhering to the platform-specific conventions, you can enhance the overall user experience of your application over different platforms. Creating a cross platform mobile application will definitely help leverage your business in an efficient and effective fashion. Although, it does require great precision and focus, but there are several proficient and resourceful tools available. You can reap their benefits and create a flawless cross-platform mobile application while targeting your extended user base. With the aforementioned tips, you can conveniently develop a cross platform app that will offer a homelike feel to your users on every possible device. I hope you like this article, please share your valuable feedback in comment section below. Juana Steves is a efficient mobile app developer with Xicom - one of the fastest growing iPhone application development company. You can also share your technical experience with her through Facebook and get in touch with her.